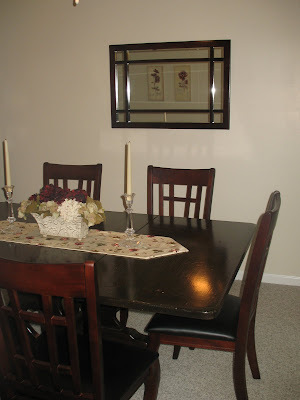 I have been tweaking the design of our formal dining room this past weekend after the addition of a new mirror that my father built for us. 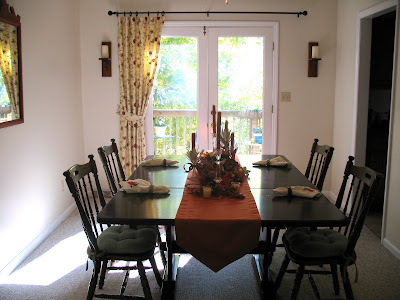 Our dining room features french doors leading out to the upper deck, as well as a doorway to the living room and one to the kitchen. 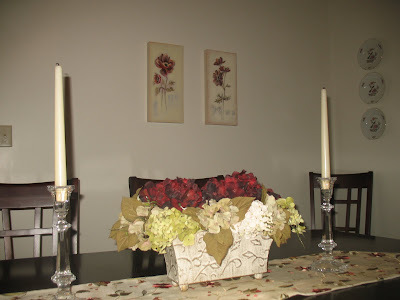 So that doesn't leave a lot of walls for furniture like a china cabinet. 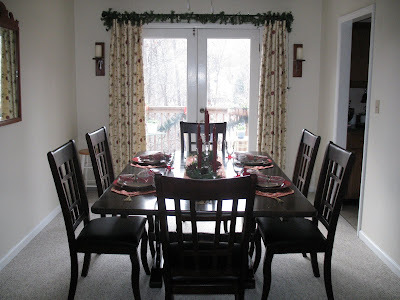 We have a big dining table (handmade by Michael's grandfather and uncle and passed down to us as a wedding gift), and a set of eight dining chairs in a cherry finish that we purchased last Christmas. 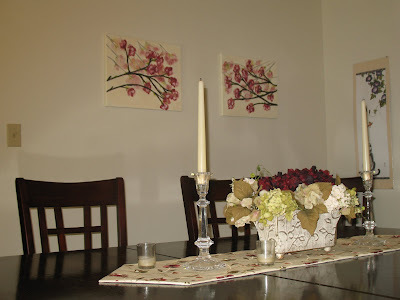 The next project in this room is a wall mounted corner cabinet that will hang in the only free corner left (haha!) Papa is in the process of building it now. 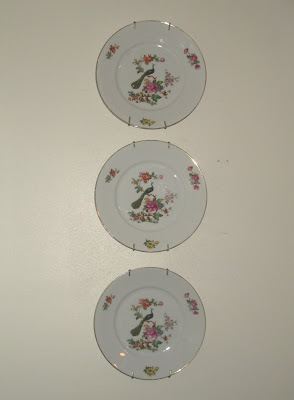 When completed, it will dress up the corner across from the plates on the wall next to the living room. 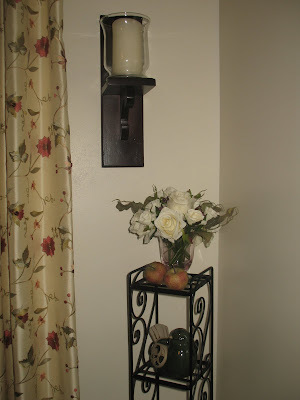 I plan to display my crystal glasses there, which will free up some kitchen cabinet space! :) Can't wait! 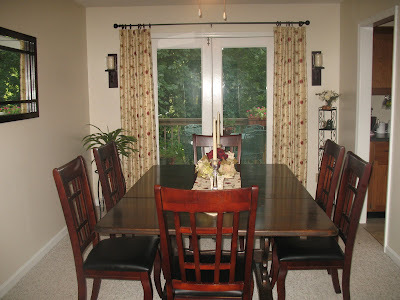 So, the dining room is finished (for now). 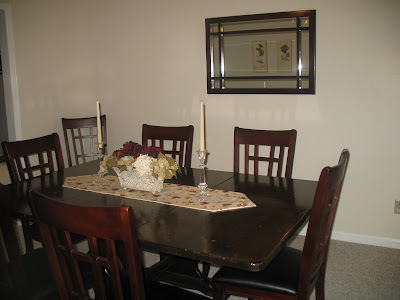 In the future, we would like to get a chandelier to replace the ceiling fan and I would love to have wainscoting and a chair rail around the room! Some new paint would be good, too; this room gets a lot of light and I love it bright, so I'm not sure what shade to use. I also think the mirror wall needs something else... but I can't decide what... what do you think?